Place figs and dates in a grinder bowl and pulse a few times to get a coarse paste. Add cashewnuts and almonds and pulse till the nuts are chopped to small pieces. (a few big pieces should remain). Take out in a bowl and add sunflower seeds and mix with your hands. Use a piece of butter paper to roll into a long log. 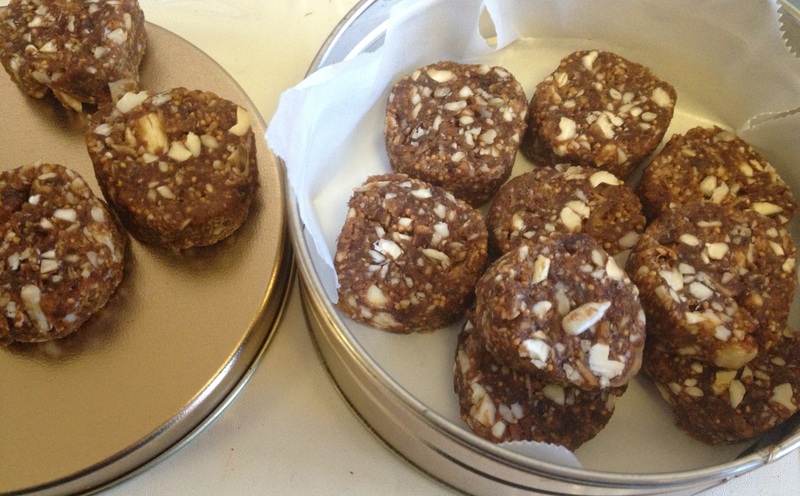 Roll in grated coconut or roasted sesame seeds if you wish. Cut into ¼” slices and serve. 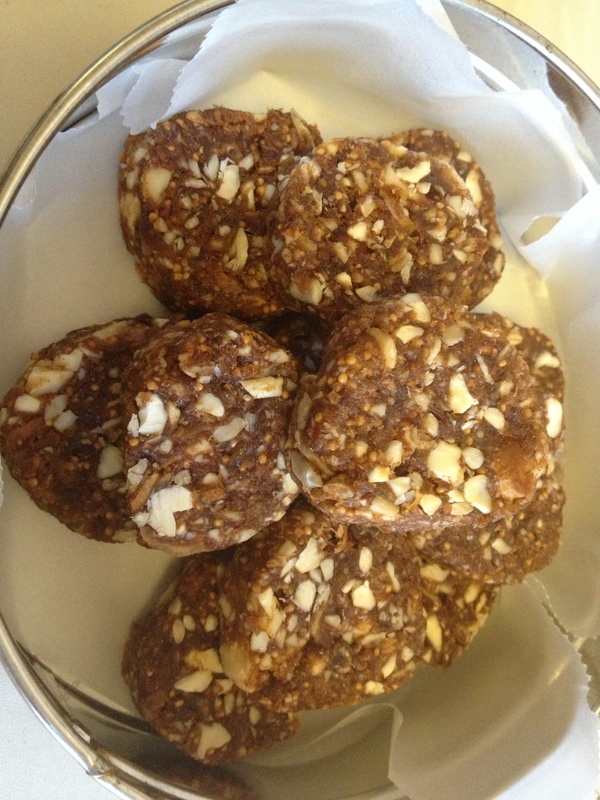 This entry was posted in Desserts/Sweets, Snack and tagged figs, figs and nuts roll, figs roll, healthy bites, nuts by PriyaBaby. Bookmark the permalink.